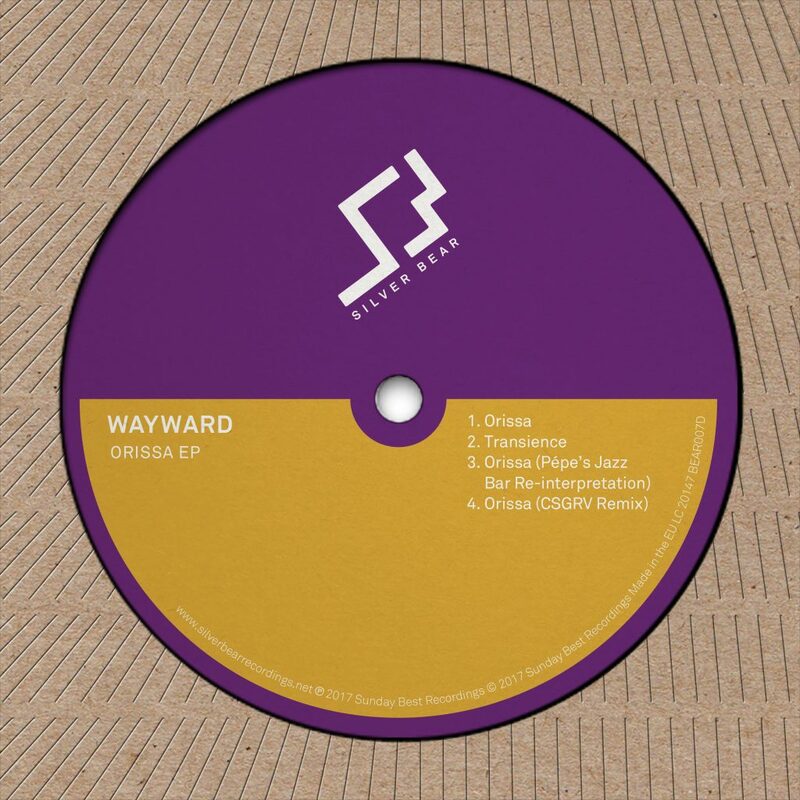 London based electronic duo Wayward return with their Orissa EP on Silver Bear Recordings. Haven taken time to reflect and reinvigorate their inspiration, these tracks are the product of a transitional time both in and out the studio. The Orissa EP marks Wayward’s self liberation and a start of a run of releases penned in for 2017. Orissa is an emotive, 8 minute offering, featuring Indian folk vocals, rolling driven bass line, percussive brushes and syncopated 808 hits landing somewhere between Four Tet and S.P.Y. Transience, see’s Wayward lay bare their current state of mind building on textured production as sax melodies intertwine between upfront percussion and Rhodes fills. Wayward have had a multitude of coverage including Pitchfork, Mixmag and Noisey. They’ve clocked up over 6 million streams online being supported on the airwaves by the likes of Annie Mac, Gilles Peterson, Monki, Moxie and Rob da Bank.